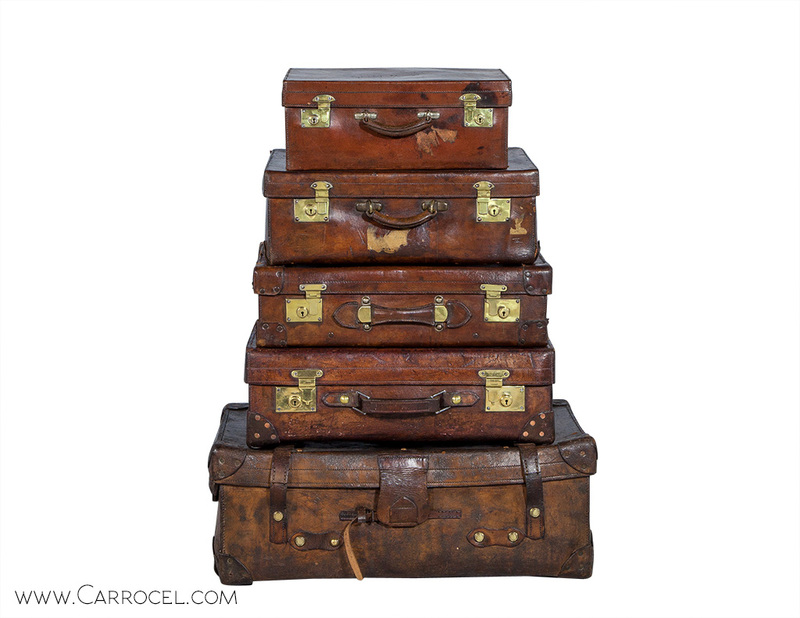 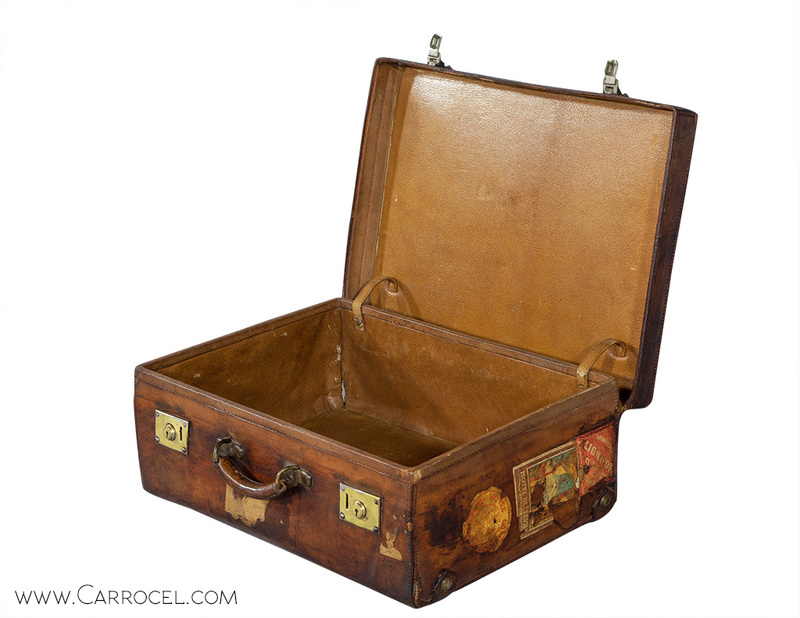 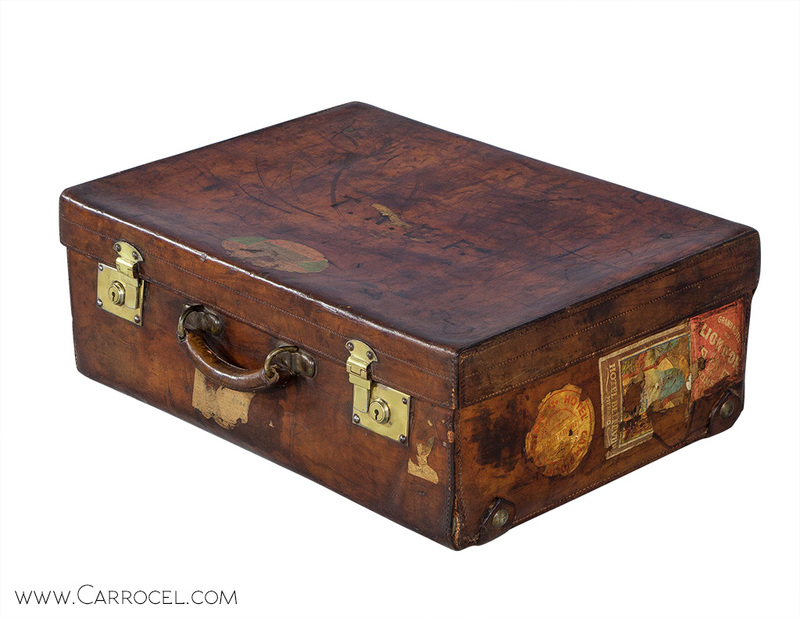 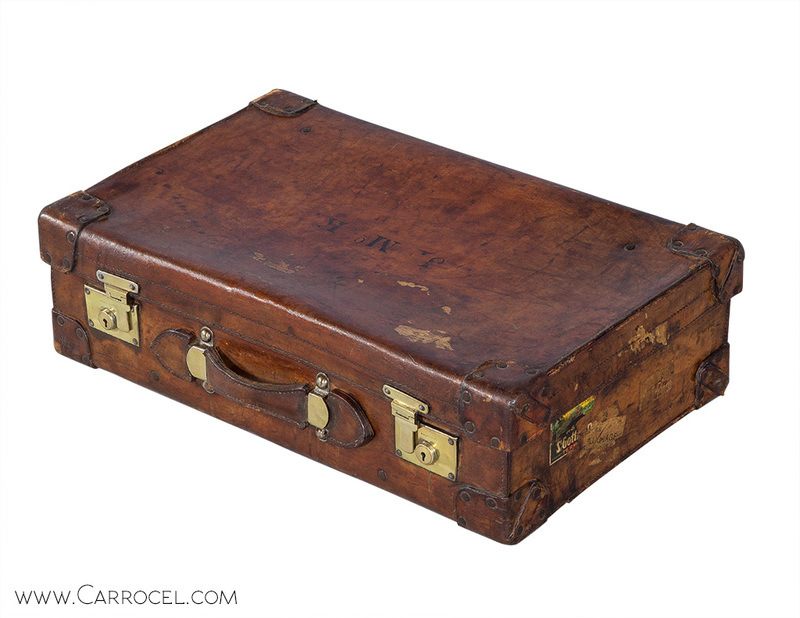 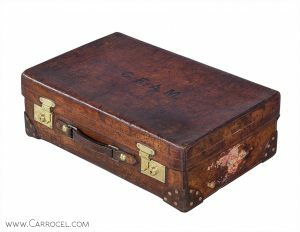 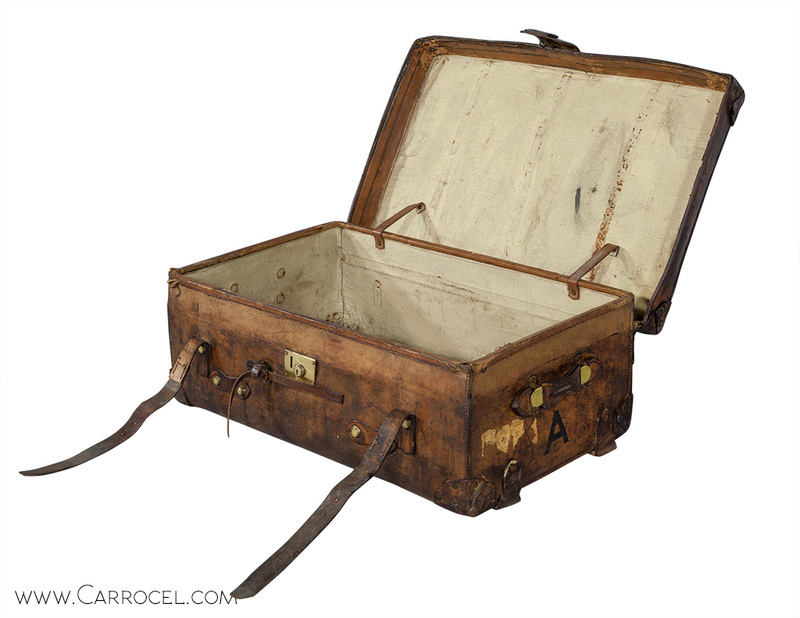 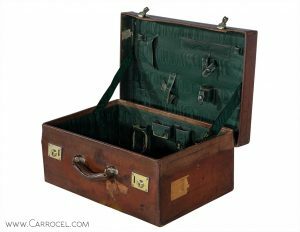 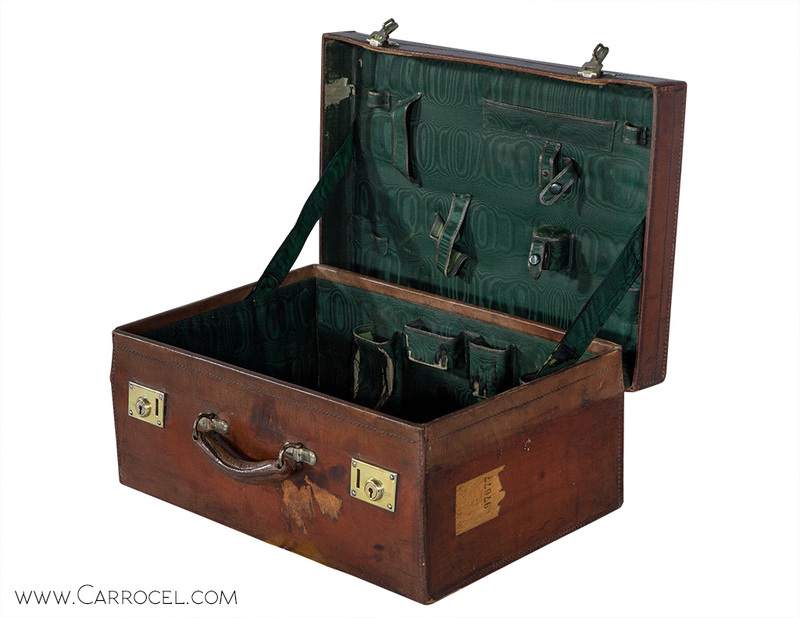 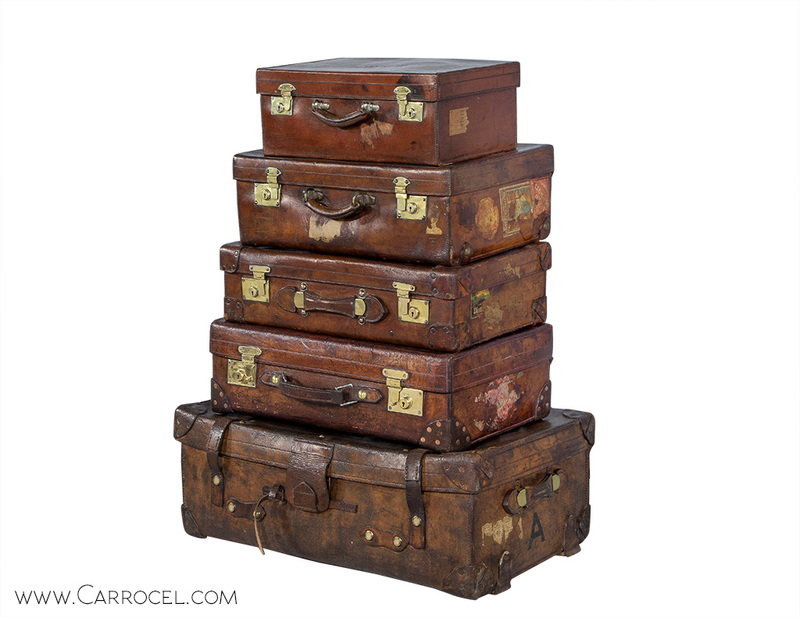 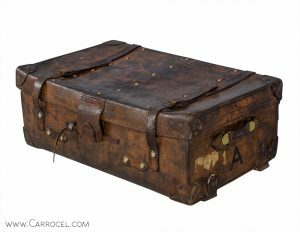 Part of the Carrocel Original collection, these cabin trunks have traveled the world in days long past. 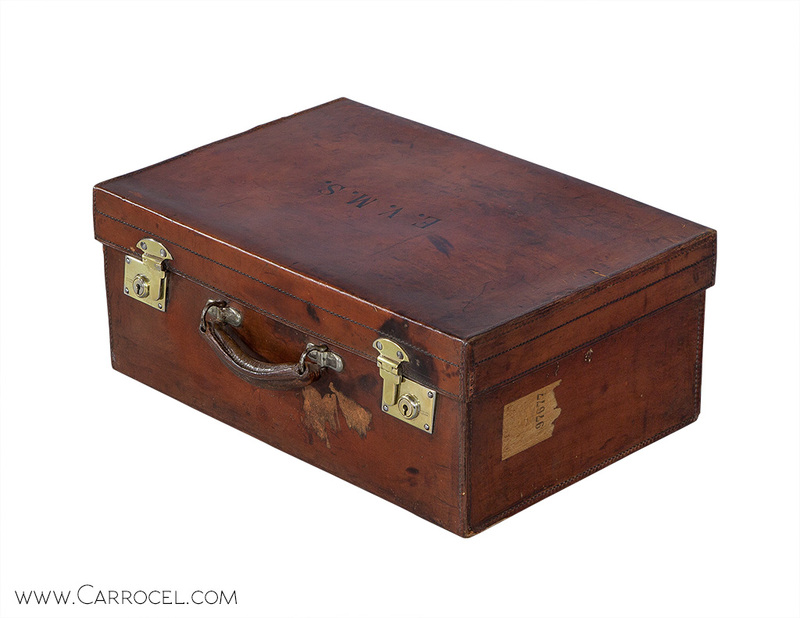 Manufactured in England during the early 1900s, these pieces are in original condition with natural wear and distressing contributing to the character. Dimensions of largest trunk shown in details. 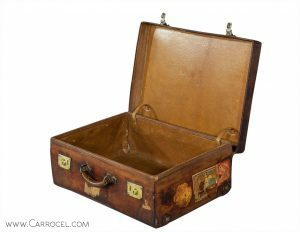 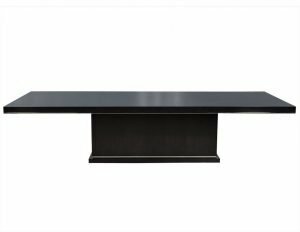 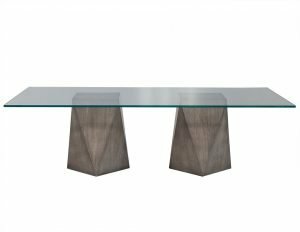 Available individually, additional detail photos and dimensions at request.